We’re in the midst of a severe flu season, but it’s not too late to protect yourself and your family from getting the flu. This flu season will likely run through March or even later, and you can still get a flu shot today. Flu, or influenza, is a serious disease that can lead to hospitalizations, severe health complications and even death. According to the Centers for Disease Control and Prevention (CDC), flu-related deaths during a given season can number as high as 49,000. Also, flu has a significant impact on the economy. A new study from Health Affairs reports that flu costs in the United States last year for adults reached $5.8 billion in medical visits, medication and lost productivity. So what can you do? Make your and your family’s health a priority and get a flu shot. 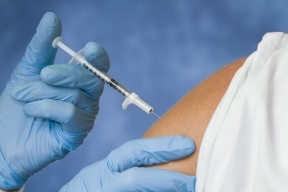 According to the CDC, everyone who is at least 6 months old should get a flu vaccine. Getting vaccinated is especially important for people who have certain medical conditions such as asthma, diabetes or chronic lung disease; and for pregnant women, young children and people 65 and older. Influenza does not discriminate against age or health habits. Just because you’re young or don’t typically get sick doesn’t mean you can’t catch the flu. Since a person can be contagious before symptoms develop, you can catch the flu from someone who has yet to show any signs of being sick. The flu shot is not expensive. 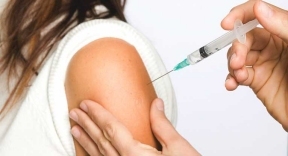 In most cases, the cost of a flu shot is covered by your health plan, whether you buy health insurance on your own or are covered through your employer, Medicare or Medicaid. To find a list of flu shot providers near you, visit the CDC website (www.cdc.gov/flu) and enter your zip code. People enrolled in UnitedHealthcare plans can check with their health care provider or visit myuhc.com to search for a network pharmacy or convenience care clinic – most don’t require appointments for flu shots.